The valve blends your hot and cold gravity fed water supplies to obtain the showering temperature that you desire, whilst the pump boosts the flow of water to give a powerful, invigorating shower. This model also has the benefit of a thermostatic mixer shower to give safe showering conditions for all the family. Push button ECO means that it can be a power shower, or a gravity shower for better water economy. Riser rail that fits flush to the wall, with integrated hose retainer and soap tray. 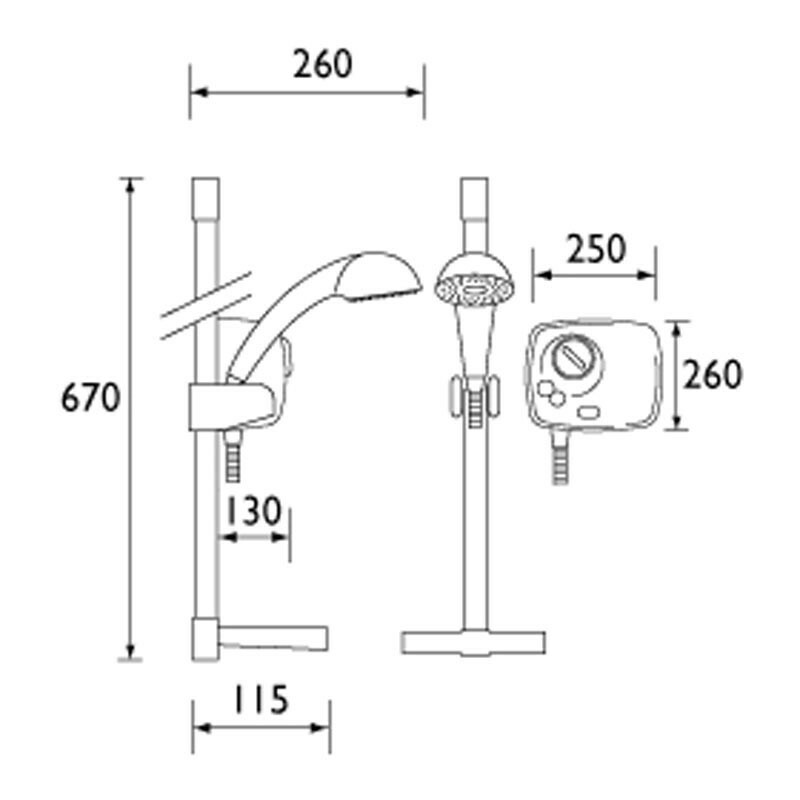 Side or rear supply pipe entry, see dimensions and inlet connection details above. 3 function rub clean shower handset.</li><li>Available in White only. 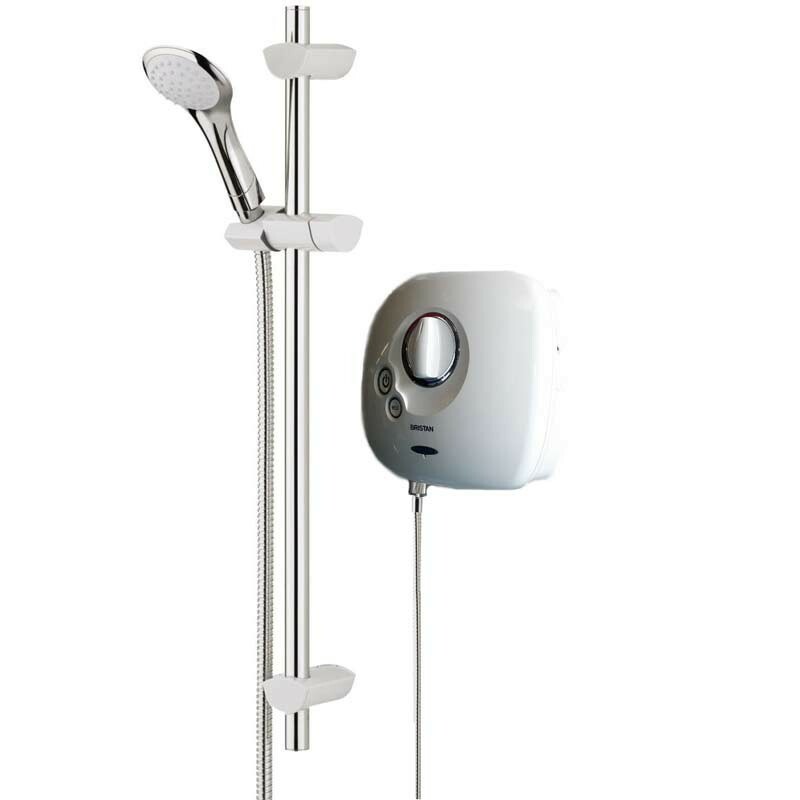 This shower cannot be used with combination, pressurised or unvented mains systems.